Say hello to your new all-in-one muscle massaging miracle tool that will help you to “Go Stronger, Longer”.  The RockBlades Mullet is the perfect portable muscle relief power-house. Named after the sweet haircut, the Mullet is all business up front and party in the back. Get down to business, loosening knots and easing problem areas, all with one tool. Once you’re done it’s time to party. Use the bottle opener to crack open your favourite beverage. Used by thousands of medical professionals across the world, you are holding in your hand the power to reduce muscle tightness and improve range of motion. The RockBlades Mullet is a convenient portable muscle relief powerhouse. With 4 treatment surfaces and multiple treatment edges, muscle tightness doesn’t stand a chance. IASTM has been used by thousands of medical professionals for many years. You now hold that power in your hand. Self-treatment tools allow more regular treatment for most people, meaning mobility gains can be maintained more readily and cost-effectively. Worried you don’t have the skills? No worries – the Mullet includes a convenient quick-start guide that will get you “scraping and taping” in no time. Want more help? Check out our videos online.